Remember the time when you were a kid? You firmly believed in Santa Claus and that he is bringing you your gifts at Christmas Eve. Don’t deny it ;). Your parents told you that Santa Claus lives in a house at the North Pole. Together with his elf friends, he is preparing all the gifts for children all over the world. As you grow up, you realized Santa doesn’t exist or does he? 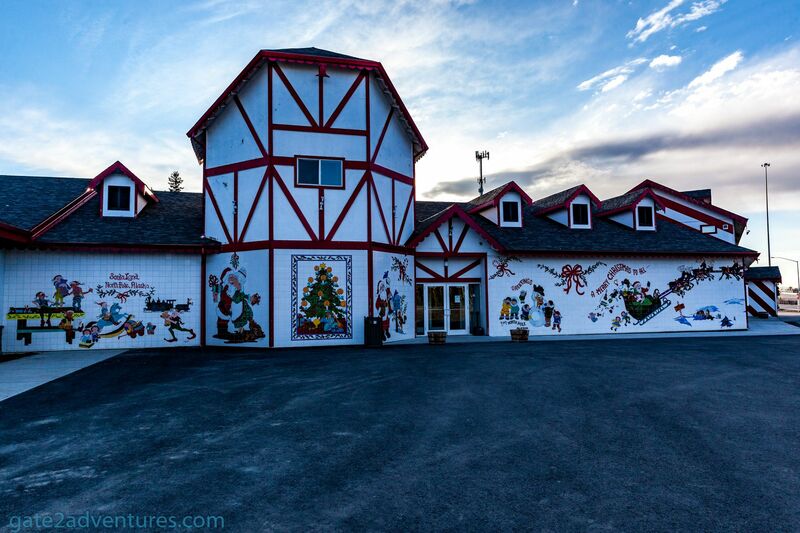 Well, I found no evidence to show you that Santa’s house in North Pole is real. Yes, that’s right! I don’t know why nobody ever reported this location. Maybe the locals want to keep this secret to themselves. So where is Santa’s house? 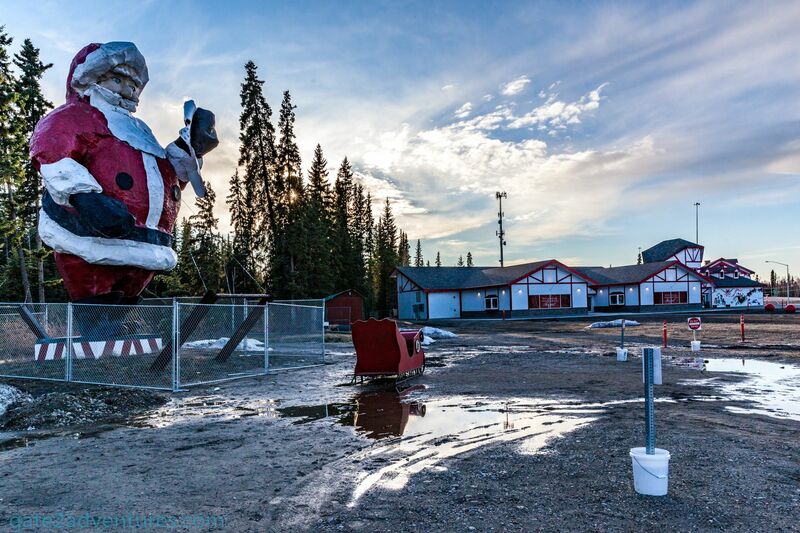 It is located on St. Nicholas Dr, which runs parallel to Alaska State Highway 2 and located in North Pole. Yes, the small town of North Pole. Santa probably upgraded his transportation method as well. His sled was outside parked in the mud. Santa probably changed to air travel as the Fairbanks International Airport is less than 30 minutes from Santa’s house. And why make the reindeers work so hard when we have now high-tech machinery capable of transporting even more goods. His now hub of distribution is probably called “Amazon” and Jeff Bezos is just a front man. Santa Claus owns it in reality. However, you can visit the reindeers all year long. 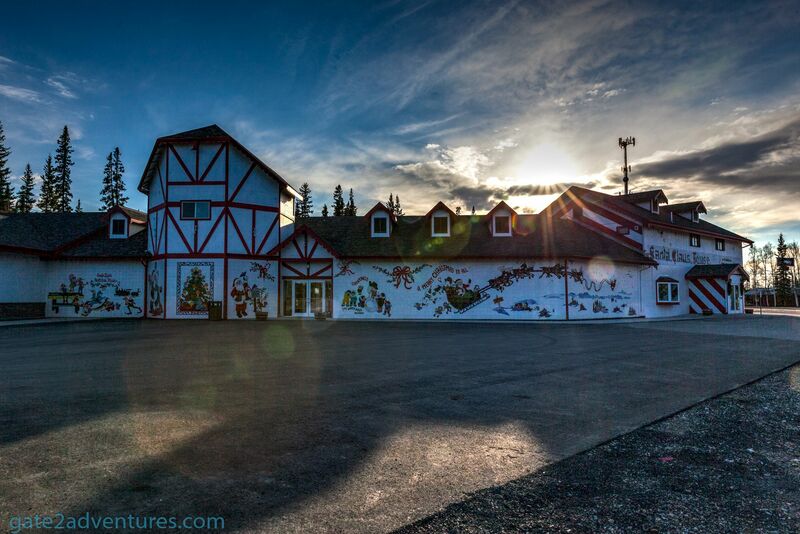 Look for the big red barn next to Santa’s House and view them through the fence. Take a tour from Memorial Day until mid-September. For a small donation, you can request a Letter from Santa & a North Pole Deed Combo. This is in the combo according to the website. Several letters styles are available to suit any occasion. Most letter styles are available in several different formats so multiple children at the same address each receive a different letter. You can request letters for numerous occasions not only for Christmas. There are a few example letters provided on the website like anniversary, birthday and much more. However, the best one is the letter to non-believers. Now you have some options for your next Christmas and if you have children, why not planning a trip to North Pole and visit Santa Claus. This will be an unforgettable adventure for your young once. 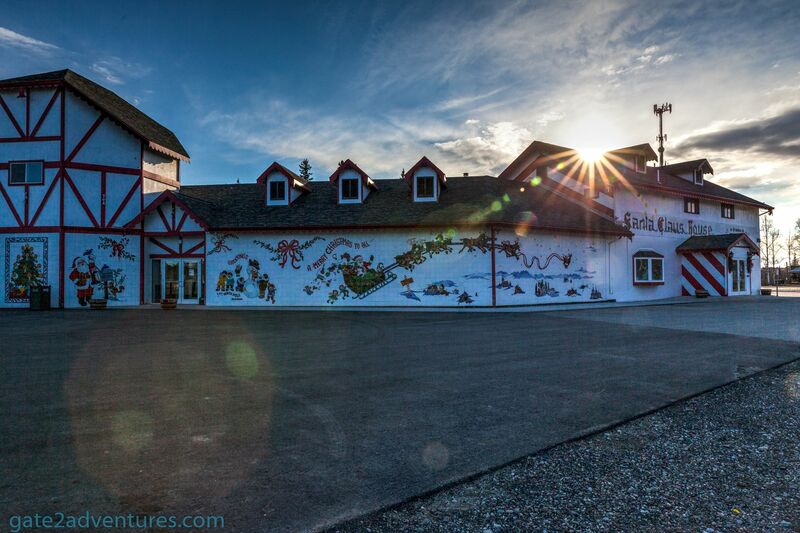 Find out about Santa’s schedule and when it’s best to visit him here. Santa Claus is about to board an airplane from Seattle to Fairbanks. The best way to get to North Pole is by taking a flight on Alaska Airlines. There are multiple non-stop flights a day out of Seattle. And if you are lucky, you might get to see Santa Claus board the aircraft with you. While I was not able to find Santa at his estate. I was able to snap a picture of Santa Claus returning back home to his beloved place in Alaska. It was on a flight from Seattle to Fairbanks. He was waiting with all the other people in line and nobody took him for real, being dressed as Santa Claus in May. Probably the best disguise ever while returning home from his vacation in the Caribbean. Yes, even Santa needs a bit of sunshine as there is barely any at his place during the winter time. Disclaimer: I don’t know if the guy really works at Santa’s House in North Pole, but it was a great coincidence. I wish everyone happy holidays and a Merry Christmas. Just a little bit over a month is left until Christmas.